Registered Deposit Brokers Association (RDBA) is the professional standards association for the Canadian client name Deposit Broker industry established in 1986 and incorporated in 1987. What is a GIC/Guaranteed Investment Certificate? A Guaranteed Investment Certificate (GIC) is a low-risk investment with guaranteed returns over a fixed period of time. The principal investment is also protected by deposit insurance. A GIC is a type of Deposit Product and is issued by a financial institution such as a bank, trust company or credit union. Deposit products are also known as term deposits, deposit receipts or short-term deposits. Why Should I Invest In A GIC? Deposit Insurance protects savings in case a financial institution fails. Because GICs are considered Deposit Products in Canada they are protected by Deposit Insurance. Deposit Insurance does not protect against fraud, theft or scams. Other investments such as mutual funds and stocks are not covered by Deposit Insurance. 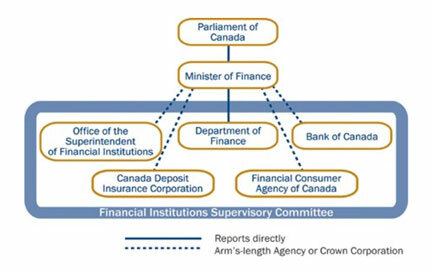 Federally chartered financial institutions (banks and trust companies) and federal credit unions are covered by Canada Deposit Insurance Corporation (CDIC). Credit unions typically operate within a province and are covered by provincial Deposit Insurance providers. Please see RDBA’s Deposit Insurance in Canada chart which summarizes federal and provincial deposit insurance programs in Canada. What Should I Ask a Deposit Broker About Investments? Why is a GIC a safe investment? What is laddering and why is it a good investment strategy? Does a GIC investment have my name on it? How do you determine what GIC investment is best for me? How is a Deposit Broker Regulated? RDBA Deposit Broker members are authorized by RDBA FI members to offer Deposit Products to Canadian investors. The investor who buys a GIC owns a promise by the FI to pay back the investor’s initial investment, plus interest specified in the GIC contract. A Deposit Broker helps facilitate the sale of a GIC on behalf of a FI to the investor, so the Deposit Broker is the responsibility of the FI. RDBA Deposit Broker members are always sponsored by RDBA financial institution members, so not just anyone can become an RDBA member. Laddering is one of the most common strategies to diversify a GIC investment portfolio. With GICs, a five-year term generally pays the best interest rate and is the maximum term that qualifies for deposit insurance. GICs are also locked-in, for the duration of the term, so they cannot be cashed in before maturity. This is where a ladder comes in. To build a ladder, the total amount of money you want to put into GICs is divided into a number of individual investments, or tranches, with staggered maturity dates. As each GIC comes due, you have the option to either reinvest the proceeds in a five-year term GIC (to take advantage of the best rate), or use it for other purposes. For example: you would invest one tranche in a five-year term GIC; the next tranche in a four–year term; the next tranche in a three-year term, and so on. A ladder provides opportunities for getting better interest rates in the future while the average return of the GIC portfolio is maximized. How are Financial Institutions Regulated? User our broker search tool to choose a Deposit Broker in your area. Choose the Deposit Products you wish to purchase, with the help of your Deposit Broker. Fill out a client information and consent form with the help of your Deposit Broker, taking down the details needed for the transaction. Deposit Brokers must keep records of client instructions, including the source of payment, the Deposit Products selected, the interest rate, term and maturity, and the client’s banking information. Get your receipt from your Deposit Broker on the day of investment. Deposit Brokers will fully disclose the terms and conditions to you at the time of investment, and this must be clearly marked on the investment receipt. The financial institution sends a confirmation or certificate to the Deposit Broker, and the Deposit Broker confirms and forwards this on to the investor. You can expect official confirmation within four weeks. In some cases, a financial institution will send the confirmation directly to you, with a copy sent to your Deposit Broker. You should be notified 10 days prior to the investment maturity date either by the Deposit Broker or the financial institution. What is a Deposit Product? Deposit products are attractive investments because they are low risk with modest, guaranteed returns. RDBA members offer client name deposit products, which means that the deposit is issued in the client’s own name. RDBA member Deposit Brokers and their Affiliate representatives allow Canadian investors to access federally and provincially regulated financial institutions’ various guaranteed investment products, such as GICs, term deposits, TFSAs, RRSPs, RRIFs, LIFs and RESPs. Investments are protected by the Canadian Deposit and Insurance Corporation (CDIC) or by provincial coverage depending on the Credit Union that is providing the investment product. What Does a Deposit Broker Do and What is the Difference Between a Deposit Broker and Stockbroker/ Financial Advisor? A Deposit Broker is an independent financial professional who helps investors select guaranteed investment products—such as GICs, term deposits, RRSPs, RRIFs, LIFs, RESPs, TFSAs—from different Canadian financial institutions. Stockbrokers focus on stocks and bonds and other investments, Deposit Brokers specialize in deposit products that are less volatile. Deposit Brokers are typically also financial advisors. Some financial advisors sell proprietary products, so the advice may not always be objective. Deposit Brokers strive to offer a wide selection of products, the best possible interest rates, and personal service. They are like a one-stop solution for guaranteed investment needs. They may also be qualified to sell other financial products such as insurance or mutual funds, as well. How Does a Deposit Broker Get Paid? Deposit Brokers are paid by the financial institutions that issue the deposits. Clients who purchase a Deposit Product through a Deposit Broker pay no commissions or fees. What Does the RDBA Do/What is Their Role? RDBA protects depositors’ interests and strengthens market integrity and efficiency within the Canadian Deposit Broker industry. RDBA helps shape regulatory initiatives, provides members with opportunities to exchange information and ideas, educates members on industry issues, offers designations through courses accredited by Advocis and The Institute for Advanced Financial Education and administers a national registry and referral service for clients and FIs seeking Deposit Brokers. RDBA members are comprised of Canadian Financial Institutions and Deposit Brokers. Why are there No Big Six Banks Affiliated with RDBA? Smaller Financial Institutions (FI) sell GICs through Deposit Brokers as a means to raise capital. As a result, these FIs often offer better rates than the big six banks. Compound interest works for you when the interest earned in one period is added back to the principal. In a subsequent period, interest is earned on sum of the principal plus the interest earned to date. This is why compound interest earns money faster than simple interest when comparing the same rate. The example below starts with $1,000.00 invested in a 5 year, 2.8% GIC which is compounded annually. The interest compounds each year and the effective rate of interest is actually higher than 2.8%.